HTC’s Smartwatch was heard a year back, but then news came that the company dropped the plan of the smartwatch. It seems it is finally happening because, in past few days, we have seen a good amount of leaks revealing how the HTC’s Android Wear smartwatch is going to look. Today, we got another information that shows that the upcoming smartwatch fro, HTC is going to be developed under popular fitness brand, Under Armour. Well, it looks like this smartwatch will not be perfect for only Android lovers, but also for fitness freaks. Anyways, along with this, we have another information and this time, it is from China. A user on Weibo revealed that HTC UA is going to be the name of the smartwatch and it seem quite perfect as we have already seen new devices under the new ‘U’ series by the company. IS HTC UA THE NAME OF UPCOMING HTC SMARTWATCH? As far as specifications are considered, the HTC UA will sport a display with a resolution of 360×360 pixels which surely not the best out there but not bad too. 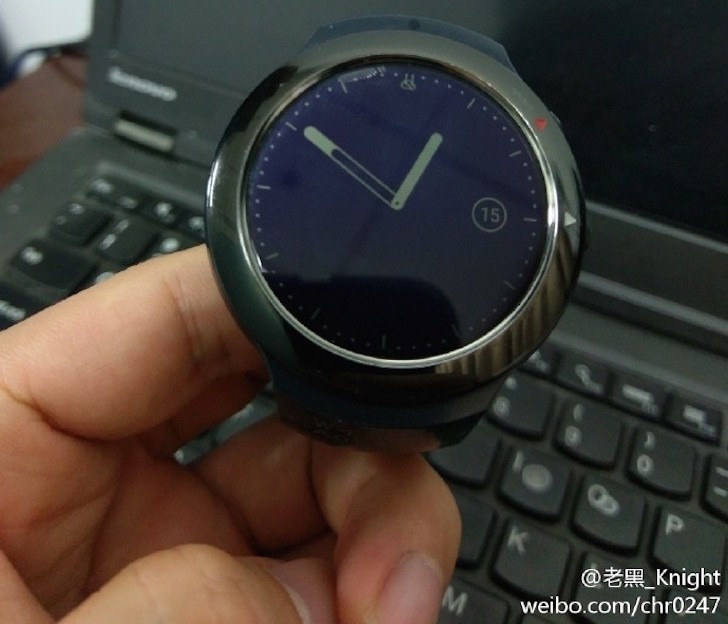 Some previously leaked images of the watch have shown large bezels which are surely not going to impress users. If we talk about the name, this has been revealed by a user on Weibo named ‘Upleaks.’ In case you don’t know, he has a good track record of leaking mainly HTC devices before the launch. As an example, he leaked information about the HTC U Ultra before its actual launch, and all the specifications came out to be true. So, we can surely think the information revealed today to be genuine but surely not 100%. So, take this with a little bit of salt. Stay tuned as we will be updating you if we get any more information. Cheers. The software brings a number of new features to the OS. You’ll be able to reply more easily to messages direct from the watch, with improved handwriting recognition and even the addition of a tiny keyboard (which comes with predictive text).